Dental X-rays are a necessary part of dental care, and, while they are safe, they do expose patients to a small amount of radiation. 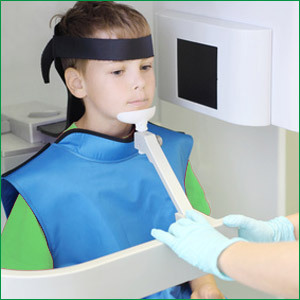 Digital dental X-ray technology requires much less radiation than traditional X-rays, as well as other benefits. At our Santa Monica office we use digital X-rays and aim for as close to zero radiation as possible. Digital X-rays expose the patient to up to 90% less radiation than film X-rays. This is especially important for patients who need to have repeated X-rays. Digital X-Rays are quicker than film X-Rays because the images are processed almost instantly and displayed on a computer screen. The digital images are much clearer than the images from film X-rays, making it easier for the dentist to study and analyze the X-rays. The dentist can adjust the color, contrast and brightness of the images on the computer to further help to make them clear. 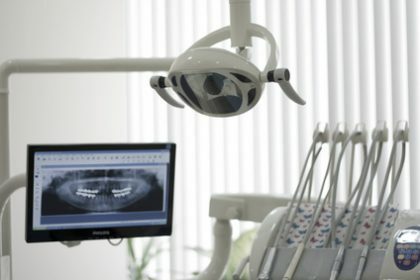 With digital X-Rays, the images can be printed when a hard copy is needed, but they can also be digitally sent to consulting dentists, which is much quicker than mailing hard copies. Digital X-rays eliminate the need for developing chemicals. Digital X-rays are part of Dr. Brightleaf’s commitment to holistic dentistry, the whole health approach to dental and oral health that is best for the patient and best for the environment.